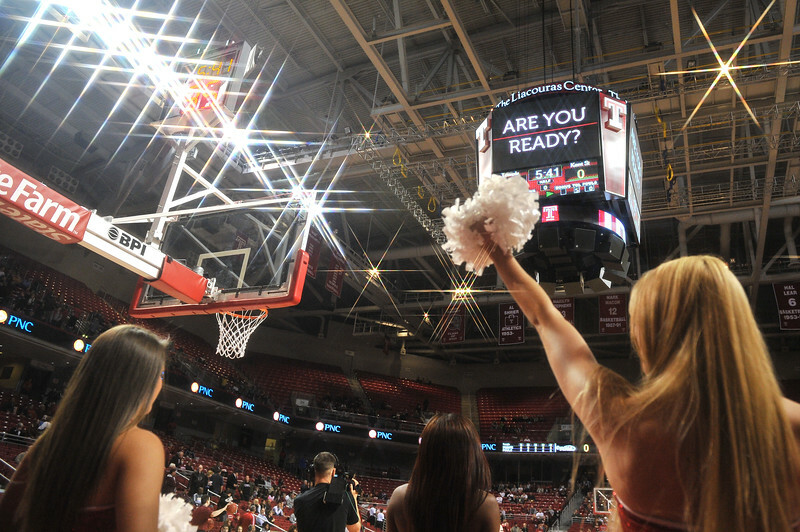 The Liacouras Center scoreboard shows "Are you ready?" prior to the basketball game between the Kent State Golden Flashes and the Temple Owls being played at Liacouras Center in Philadelphia. Kent State beat Temple 81-77.